Set phasers to stun and calibrate your sonic screwdriver – because frak me – FanX 2014 is less than two weeks from taking over downtown SLC. The 3 day fan convention – from the folks behind Salt Lake Comic Con – features the best in pop culture, movies, television shows, gaming, sci-fi/fantasy and more. FanX aims to greatly expand the floor space (no Tardis involved), number of vendor booths, and exciting activities from Salt Lake Comic Con 2013 – which in itself was a record breaking event. Prior to Comic Con the largest convention in Utah’s history drew 27,000 attendees. The very first year Comic Con was held – 72,000 people flocked to the Salt Palace convention center. The SLC Comic Con was also the largest inaugural year Comic Con in North American history with 50,000 advance tickets sold. On April 17-19, 2014 expect the event to be better in every way. William Shatner is best known for his portrayal of Captain James T. Kirk, of the USS Enterprise for the television series Star Trek, Star Trek: The Animated Series, and the Star Trek feature films. 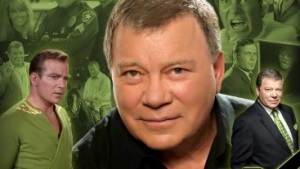 William has written several books telling of his experience as Captain Kirk and being a part of Star Trek. He has also co-written many novels that are set in the Star Trek universe. Karen Sheila is a Scottish actress and former model. She is most famous for her role as Amy Pond in the British science fiction series Doctor Who and will appear in Marvel Studios’ Guardians of the Galaxy as the villainous Nebula. Gillan will next star in supernatural horror pic Oculus in the lead role. It will be released in theaters on April 11, 2014. Edward James Olmos (born February 24, 1947) is a Mexican-American actor and director. 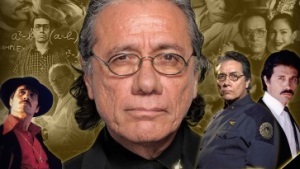 Among his most memorable roles are William Adama in the re-imagined Battlestar Galactica, Lt. Martin Castillo in Miami Vice, teacher Jaime Escalante in Stand and Deliver, patriarch Abraham Quintanilla in the film Selena, Detective Gaff in Blade Runner, and narrator El Pachuco in both the stage and film versions of Zoot Suit. He recently starred as Professor Gellar in Showtime’s serial killer series, Dexter. 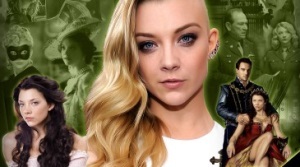 Natalie Dormer (born February 11, 1982) is an English actress. She is best known for her roles as Anne Boleyn in the Showtime series The Tudors and as Margaery Tyrell in the HBO series Game of Thrones. In 2007 and 2008, Dormer played Anne Boleyn in the first two seasons of The Tudors, for which she received highly positive reviews. In 2007 and 2008, Dormer played Anne Boleyn in the first two seasons of The Tudors, for which she received highly positive reviews. Nathan Fillion is a Canadian actor best known for his portrayal of the lead role of Captain Malcolm Reynolds in the television series Firefly and its feature film continuation, Serenity, as well as the role of Richard Castle on the ABC series Castle. He has acted in traditionally distributed films like Slither, Internet-distributed films like Dr. Horrible’s Sing-Along Blog, television soap operas and sitcoms, and theater, and voice acted in the video games Halo 3, Halo 3: ODST and Halo: Reach as well as Wonder Woman, Green Lantern: Emerald Knights, Justice League: Doom and Monsters University. * Kid Con Pavilion. The Kid Con Pavilion will focus on entertainment and activities specifically designed for families and children. * More Cosplay events: There will be additional Cosplay Contests, photo areas, and some first of their kind activities to take Cosplay to a whole new level. * More social activities. Including robust interactive panels, Q&A’s with celebrity panelists, speed dating, social media groups and expanded areas for attendees to take pictures and socialize with fans with similar interests. * More entertainment. More shows within the show like last years’ Jedi Mind Tricks Comedy Show and Evil Dead Musical as well as special celebrity Meet and Greet events. * Longer hours. Nearly a half-day more of open hours over the course of the three-day event. * Expanded VIP experiences and benefits. VIPs will have greater access to celebrities, fastpass lines, preferred seating in panels, early show entry and much more.